Portals are opening, portals of higher frequency energy. Those sensitive to cosmic fluctuations may be experiencing anxiety, shaking, difficulty concentrating. Spaciness, forgetfulness, tearful. Hunger or loss of appetite. Hyper awareness of energy fields of people around you. Lethargic. 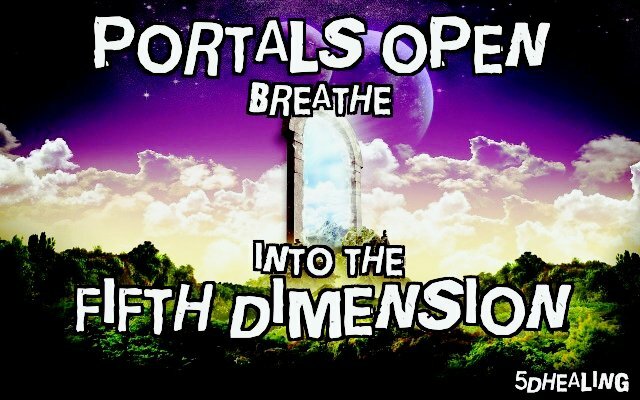 When portals open they cause intense disturbances in the atmosphere, this can be felt by some people. A feeling of being untethered, making limbs shaky, causing clumsiness and insecure footing, even walking down stairs can be challenging. Practise regular grounding mantras drawing universal light love through crown chakra, down out through your feet back into Gaia. This portal is about timelines. A further shift in human consciousness is being heralded, the rug may be pulled from under our feet. Disclosure is intensifying. Disclosure of ufo and alien intergalactic communities. Disclosure of depravity and mass programming in entertainment, in politics, in athletics and fashion. There is a nervous energy bubbling to the surface. Interference is being experienced on a global scale. The elite are upping their attempts to thwart all kinds of exposure, to prevent truth emerging. Their energy is dangerous and desperate. Cosmic energy is pulling us to higher frequencies. If we fight this we can feel dissociated from our lives. Portals can make us feel on high alert, hyper vigilant with the environment around us. We sense something and are looking for it trying to ascertain, is it hostile, threatening or frightening. There is a building sense of hyper cosmic activity, something is happening. Our reality is being twisted through artificial loops causing glitches that are increasingly noticeable. Labelled the Mandela effect we are becoming aware of engineering of our synthetic, fabricated world. This is the matrix. When something big is changed, smaller, less obvious changes occur. Technology has enabled us to uncover and track these glitches. From the big changes like our common memories of the death of well known people like Mandela to the smaller glitches like missing apostrophes in logos. Small changes indicate bigger manipulations of our global perceived realities. Celluloid, social media, hyper technology create a trail, a path of discovery, clues to truth and deception. In a quantum world nothing happens in isolation. We are being hacked, our perceived reality engineered to trip out our global consciousness. An attempt to rewind time by dismantling our memories of the recent past. We are being strategically deterred from the path of truth. There are preferred timelines of ignorance, quantum electronic pathways where humanity remains in darkness. The elite, our infiltrators, are seeking to take us backwards, to halt our awakening. Our intergalactic friends, old adversaries of this race of demonic forces, are taking this guarded, engineered manipulation of our perception of reality and fighting it. The war is stepping up a big notch for our minds, bodies and souls. Social media, the world wide web, offers us freedom of information, global communication and traceable evidence of who and what existence we have been present for. This evidence opens our locked down minds showing us lies have been told. Synthetic pathways within the matrix have drawn us deep down a rabbit hole of oppression and trauma. We are like hostages trying to break free, swimming to the surface for air, for oxygen, for honesty and truth. These are dangerous times. We are being gaslighted. Made to doubt our own perception of reality, this causes mass confusion, grief, fear and dread. We no longer feel secure as drones obeying the directives of the matrix. We are untethered. We break free from deception but we are not at the surface yet. We are caught between drowning and freedom. This is causing light headedness, dizziness, disturbed thought patterns, unpredictable behaviour, erratic see patterns. How do we navigate a world where the parameters are constantly shifting. Where the very fabric of our existence, our memories, our experiences are sabotaged to undermine our sense of self, our collective unity. A huge mothership, a city in the sky, our allies, hovers above the Atlantic ocean, cloaked from human eyes. This ship and our allies aboard it are mounting a fresh attack as hostilities heighten. Blasting waves of high frequency photon light out across the planet. The human elite are no longer in control. The war has stepped up. Our infiltrators are pressing the button for enhanced manipulation of our perceived synthetic reality. They seek to freeze us in time, to halt the expansion of human consciousness. The Atlantic is the scene of this great showdown. Like a tidal wave this great battle for human consciousness, human souls, human sanity is being activated. To run, to hide in fear is to feed their never ending lust for our energy. We get stuck on a low frequency unable to access fifth or higher dimensional realities. This great battle commences. We are part of it. Now is the time to activate your inner warrior, to ignite the fighter within you. Do not let fear take hold of your mind, lock down your heart or corrupt your soul. Release all negative entities from this world. Push back against their fear, their anger, their greed and their darkness with the glory of joy, of love, of enlightened human consciousness. These are the end times and the beginning times. We are here to rescue humanity from the clutches of dark forces. Get out your light saber, dance ecstatically, meditate with conviction. Be specific, be focused, be driven, be secure, be clear in your inner strength. We are old souls embedded in feminine energy release this energy to the world. 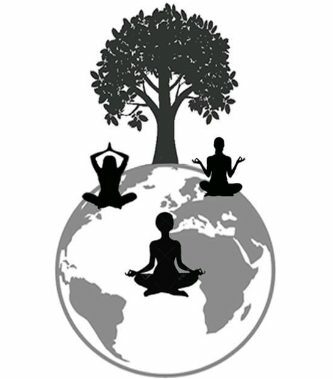 Set aside time for individual and group meditation. Practise rituals of protection, love and illumination. Repeat mantras throughout the day. Ground yourself deep into the heart of Gaia. She needs our strength. Game on beautiful people. We are entering the next phase. The synthetic matrix crumbles around us. The simulation placed in front of the eyes of the population holds them in a trance like state, protecting them from truths they are not ready to see yet. Those of us who answered the call, who volunteered to help this planet in crisis, in cosmic turmoil, our time is now. Timelines are up for grabs. This portal of truth, a tear in the lining of the matrix, stretching across the Atlantic, was prophesied and has come before. When Atlantis fell our planetary vulnerability was violated. This is our second chance for freedom. The mistakes before, the lack of support, the lack of guidance, the lack of higher dimensional presence has been corrected. We are surrounded by allies in the skies, in the oceans, on land and in our hearts. Gaia is ready to pull up her drawbridge, to close the door and banish the predators. She needs our help. Our intergalactic friends are calling time on the infiltrators. Expect intense disturbances around the Atlantic that will roll out around Gaia. As this portal stretches wider and deeper we push through the static of lies, we tear apart the veils of deception, we destroy the predators with grounded love frequency. Position yourself for battle. Wield your energetic light saber strong and focused. Unleash love upon our enemies, they will crumble, they will break apart, they will disintegrate for love is the force that will vanquish them. Love is the vibration of the fifth dimension and higher. Time anomalies will accelerate. Dimensional fluctuations will happen before our eyes. The world is bending, twisting, fluctuating. Their time is up. Exit stage left. Time for bye bye. The war between dark and light will continue in the third dimension, for this is where the enemy thrive. But we will no longer be there. Use all your gifts for healing, for premonition, for manifestation and third eye sight. Be sensitive to humanities intense confusion. Be compassionate for humanities accelerated evolution. Do not let negative emotions overwhelm you. Trust that you will be protected. Use language as the tool to instigate protection and love power. Rest. 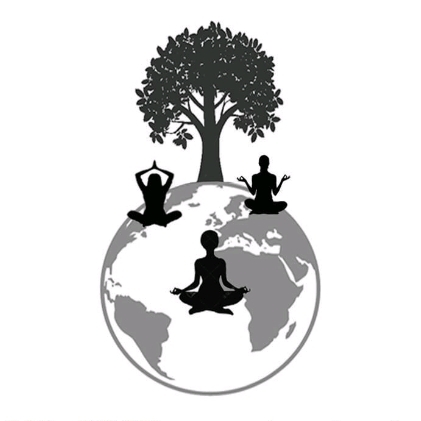 Meditate love frequency warriors of Gaia, the time is now. Game on beautiful people. I raise my frequency to connect to universal love light energy. I activate my free will. I share love I receive love I am love. Namaste.